Recent spy shots of the 2018 Mustang Shelby GT500 have shown not only an impressive upgrade to the vehicle, but also setting a new benchmark for power and performance for the car. This video goes over the case for how the GT500 is looking at the Camaro ZL1, rather than the Dodge Demon as its main competitor in the muscle car horsepower wars. The case obviously makes sense as the Dodge Demon’s Limited edition is really aimed at the dragstrip and straight-line monster, while a Camaro and Shelby are arguably more rounded performance vehicles. The Mustang Shelby GT500 in reality has bigger concerns as it should be looking at the wider picture and taking on the best of the performance market worldwide, which it is currently doing. Sales of the Mustang are doing very well in Europe and surprising people with a touch of American V8 muscle and exotic raw driving experience, which is a different sensation than the European offerings. But these top end models from both are still a limited market, but each cannot help themselves with their back history of going head-to-head. Check out the full video below and comment to let us know what you think about the upcoming 2018 Mustang Shelby GT500. 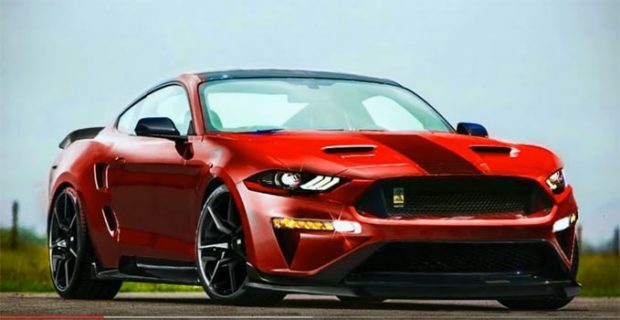 Related ItemsIs The 2018 Mustang Shelby GT500 Gunning For The Camaro ZL1 Not The Dodge Demon?